Our next order deadline will be 4/23/19. Please email completed orders to us on or before that date. Velvet: ​$50 each placement (top collar, pockets, front collar). 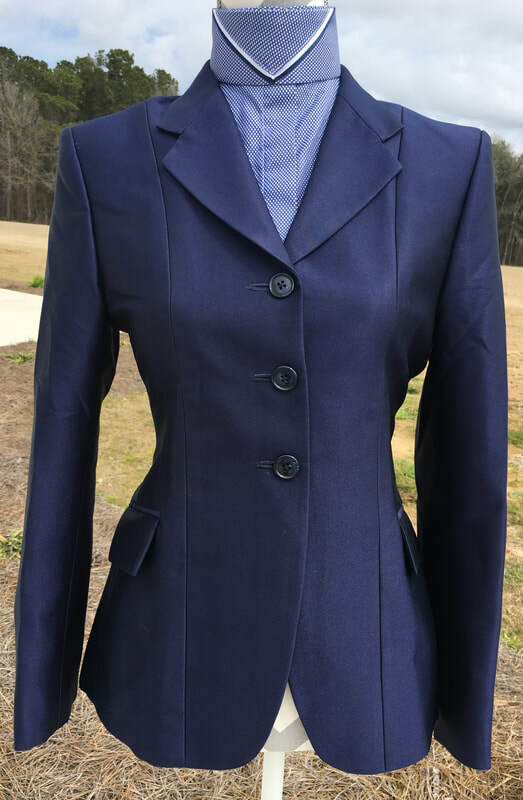 Piping on coats: $25 each placement. 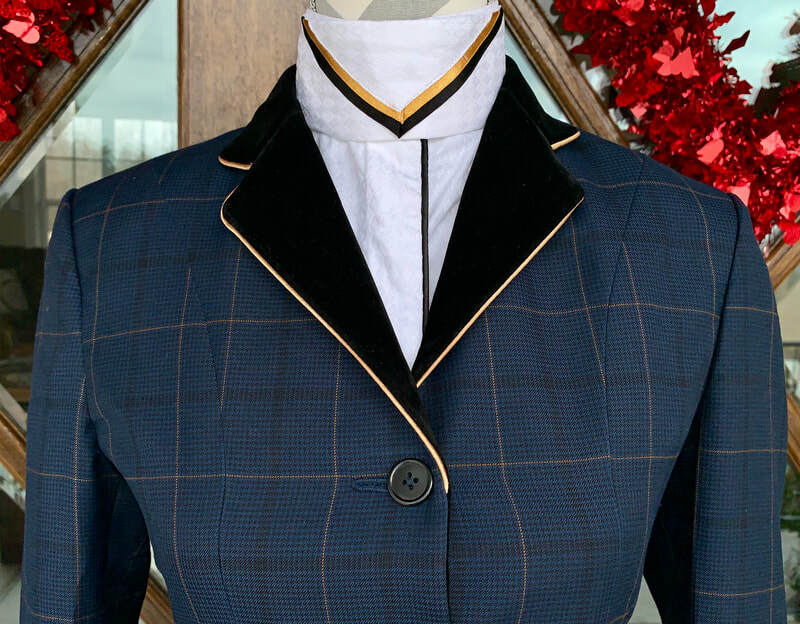 Piping on hunt blouses(placket & cuffs) $50. Fancy detached collars on hunt shirts are $40 additional for each. Piping on ladies blouses is $25 each placement. 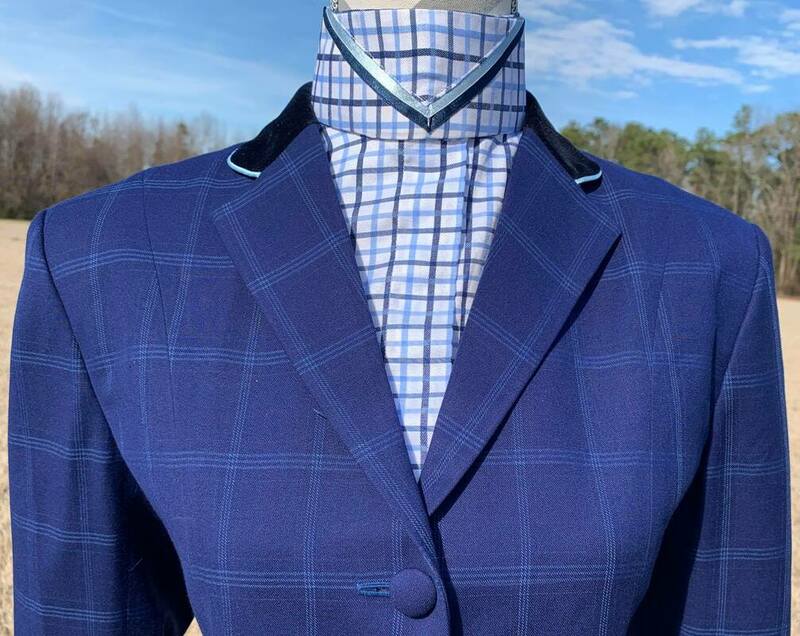 Add piping to hunt shirt is $25 (cuff and placket)//Fancy detached collars are $40 additional for each one. Boo Yah stocks a variety of styles and sizes (please see HUNT SHIRTS IN STOCK tab above). Don't see the perfect shirt? 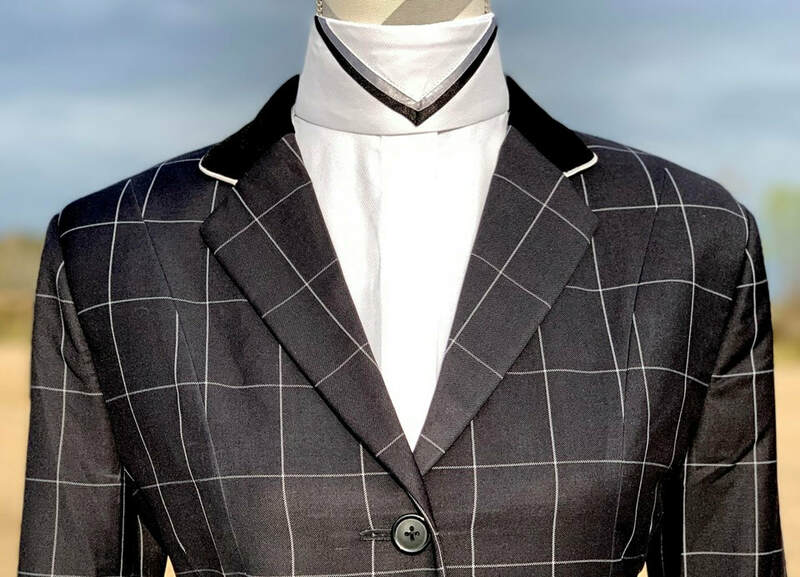 Order ANY fabric in ANY size and select TWO collars of your choice. Stock sizes available in 32-40. If ordering a STOCK SIZE in your choice of fabric, they are $150. Custom made ONLY applies to if shirt is made from YOUR measurements. Allow 12-14 weeks from the date Boo Yah submits the order to tailor for delivery, NOT the day you submit order to Boo Yah. There are NO guarantees on delivery dates. No rush services offered. We can only guarantee delivery dates once Boo Yah has received the order from their tailor and ships direct to you via US Mail. Add piping to hunt shirt is $50 (cuffs & placket)//Fancy detached collars are $40 additional for each one. Includes choice of regular or covered placket at no extra charge. ​Includes initials to customize your shirt just for you! 3) True Custom Made Shirts made to fit you! Hard to fit size? Petite, curvy, plus, tall? Order a shirt that fits you! Download women's measurement form from the ORDER page and have yourself professionally measured. Custom made items are NON-RETURNABLE and NON-EXCHANGEABLE so please read ALL information on measurement form. 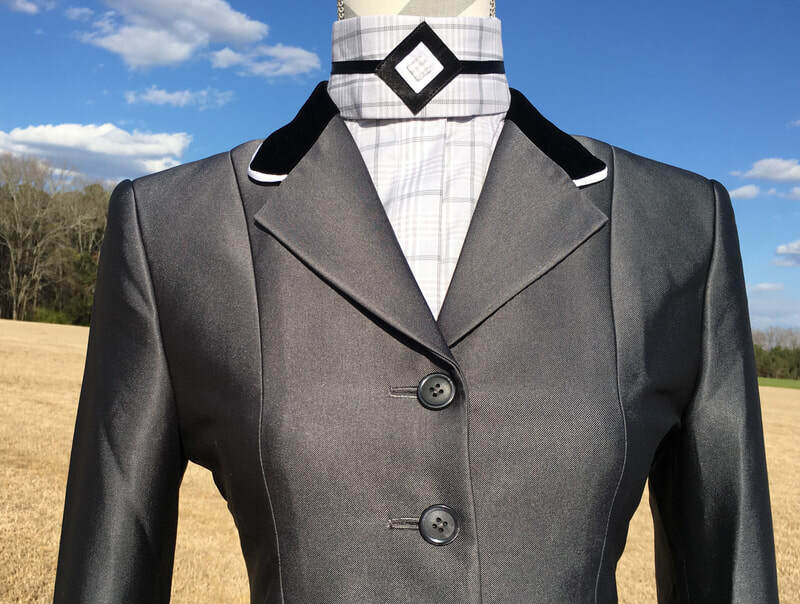 Add piping to hunt shirt is $25 (cuffs & placket) //Fancy detached collars are $40 additional for each one. 4) Extra standard Collars are $40 each. Price: Two included with each shirt, $40 for extra standard collars. Allow 12-14 weeks from when Boo Yah places order with tailor for delivery. Select two collars to make your shirt your own! Choose any design and any color ribbon(s). Specify collar letter (A,B,C,D,E,F,G,H,I,J,K) and color(s) of ribbon(s) on order. Velvet: ​$50 each placement (top collar, pockets, front collar are all 1 placement each; all 3 would be 3 placements). 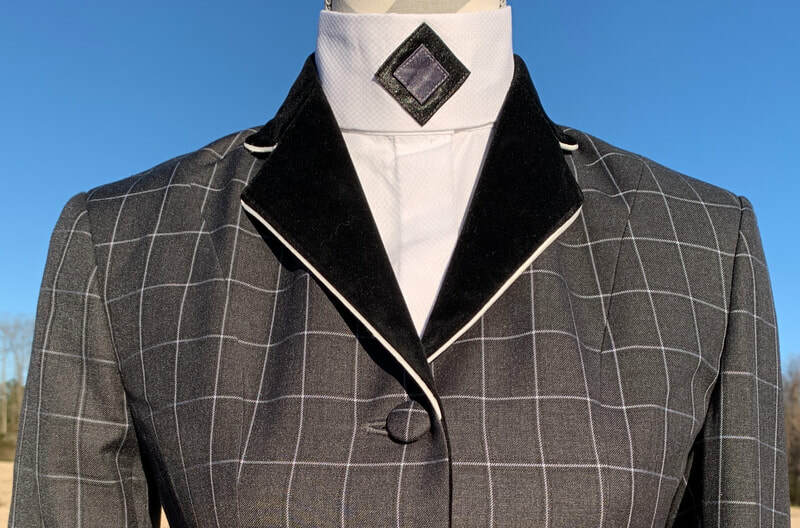 Piping on coats: $25 each placement. Price: starting at $475 for basic; price increases with velvet and/or piping options. Must be ordered on next order date shown at top of website. Allow 10-14 weeks delivery. 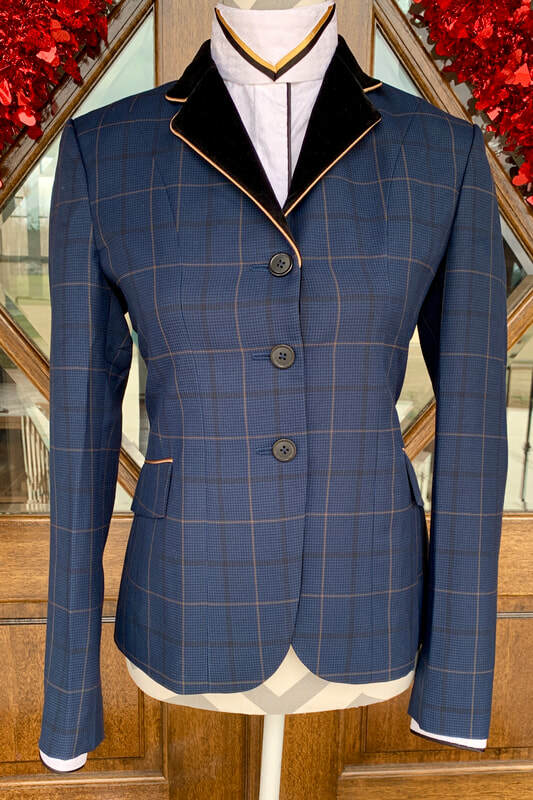 ​Your choice of fabric and options like velvet, piping or fancy buttons. Extra charges for these options. 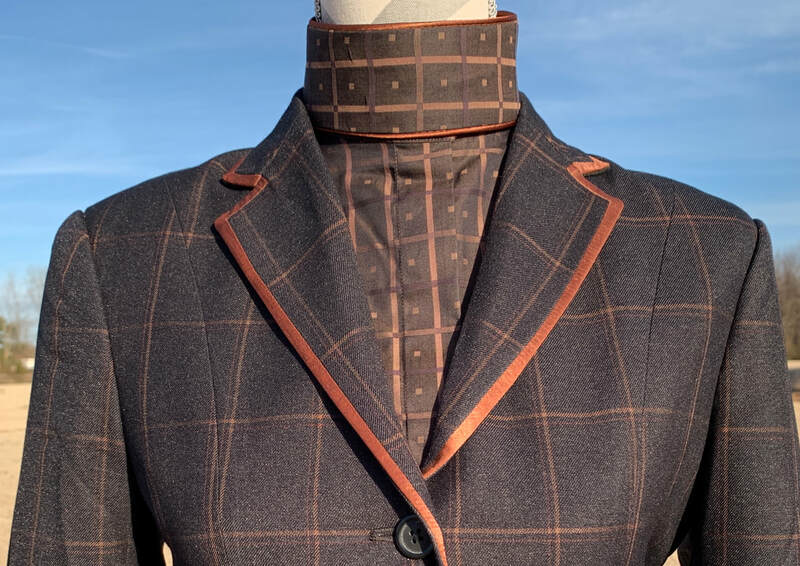 Custom Piping now available to make your coat your own! Piping CANNOT be added to existing coats. Please specify desired color and placement of piping. 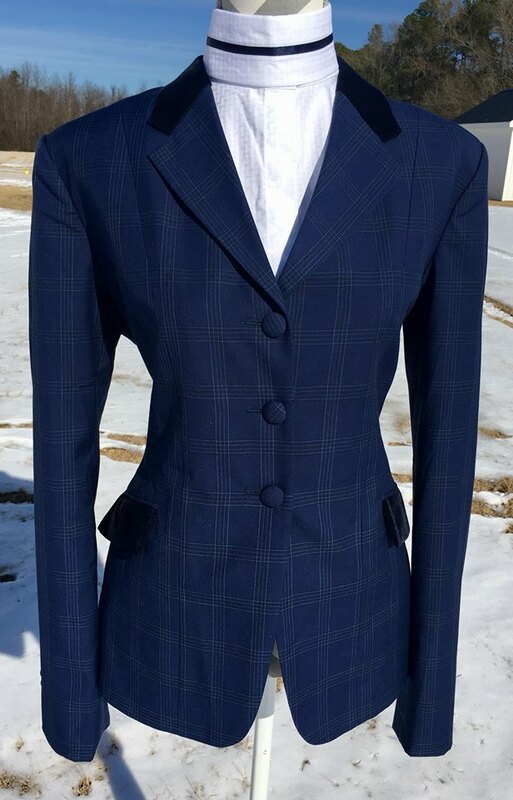 Add piping to the collar, lapel, collar and lapel, or top of pockets. 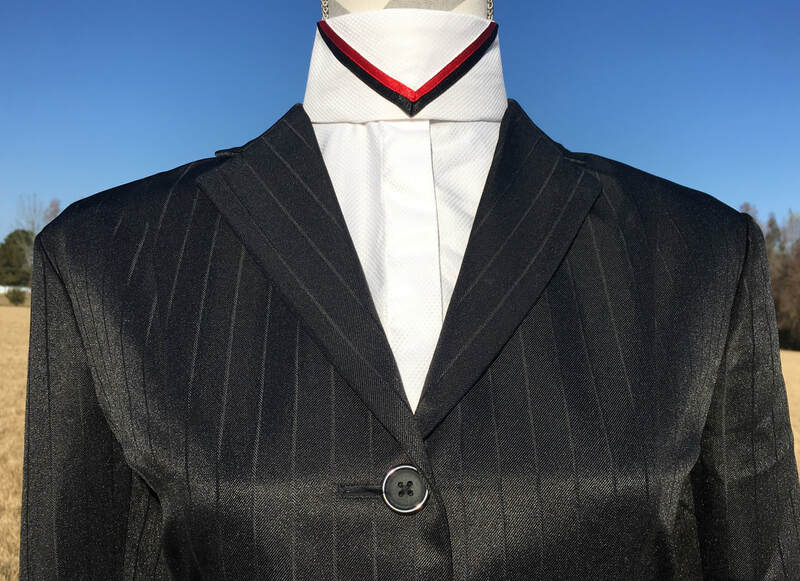 Example shown below has piping on the top collar and pockets only, NOT lapels. 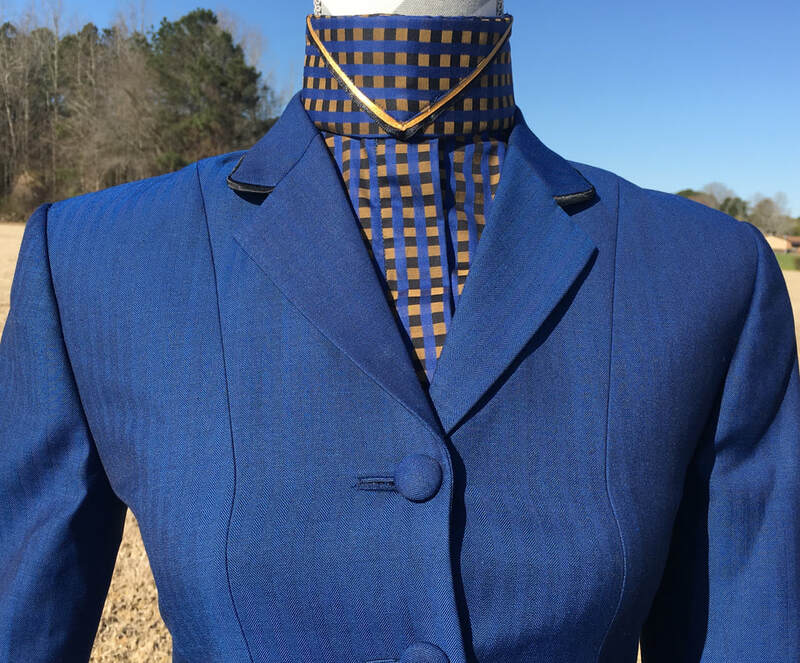 We offer piping-$25 each location ()top collar, cuffs, yolk & placket). Gives the shirt a little extra something to be super classy! For the classic western look in the pen. Also great under a vest or jacket. Designed to be fitted with longer arms for riding. Pick any fabric (including any hunt shirt fabrics). We have stretchy solid colors and sating solids as well (no stretch). Boo Yah logo embroidered on left chest, will add time for delivery. You pick the fabric and print women's measurement chart from our Order page. Please be PROFESSIONALLY measured and read information! World Champion Brady Hattan in his custom made boys shirt from Boo Yah! You pick the fabric and print mens measurement chart from our Order page. Please be PROFESSIONALLY measured and read information! A Boo Yah Gift Certificate is the perfect gift or prize for any horse person, year end or circuit award! Looking for that perfect gift for a fellow horse enthusiast? 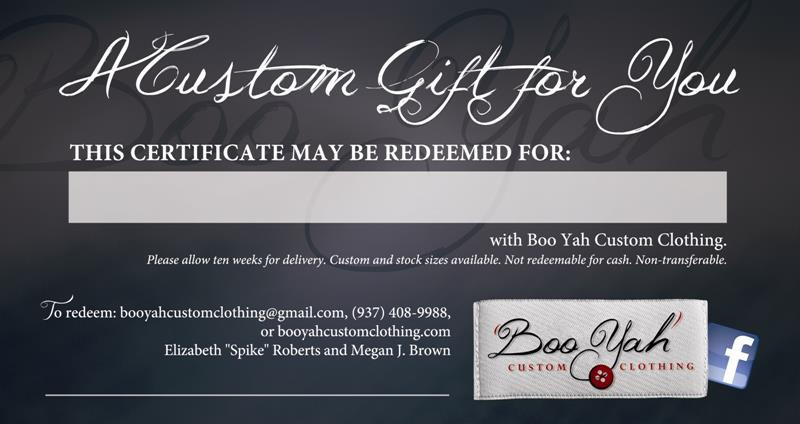 Look no further, purchase a Boo Yah gift certificate for any amount! Valid for 1 year after purchase.